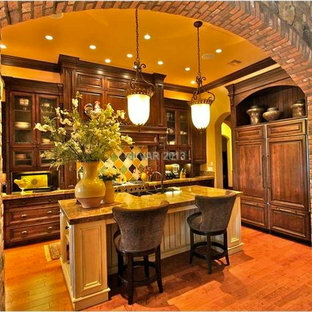 The Tuscan kitchen style is one of the most popular decorating trends today. People love it because it is warm, comfortable, and utilizes a pleasing natural color palette. If you have high ceilings in your kitchen, or just some extra space above your cabinets, be sure to maximize the design by drawing the eye upward, and filling it with Tuscan themed accessories. Group items into collections or vignettes for maximum impact. 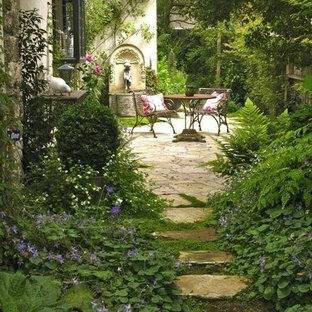 Accent with lighting if possible, and don't forget to tuck in some greenery here and there for texture. Need some inspiration? Fill a low basket with sunflowers, accent with ceramic plates (either hang on the wall or place on easels). Wrought iron wall art and word art looks terrific, along side wine bottles, decorative oils, and canisters for added height. Speaking of height...use strategically placed boxes under the accessories to vary the tops. Use these decorating tips, and you'll soon be enjoying a Tuscan style kitchen of your own! 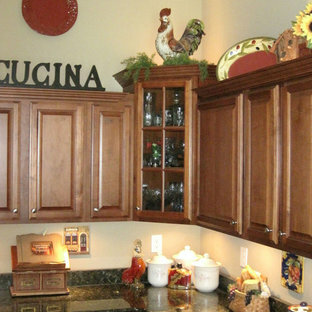 For more information on Tuscan Kitchen Decor please visit http://www.tuscandecor.com. The Tuscan dining room is the perfect place to gather with friends and family. Create a warm, inviting space that makes everyone feel at home while enjoying favorite Italian dishes. Wall tapestries featuring Italian landscape scenes create just the right dining atmosphere. In this space, outdoor lighting was adapted for indoor use, and hung at varying heights for increased interest. 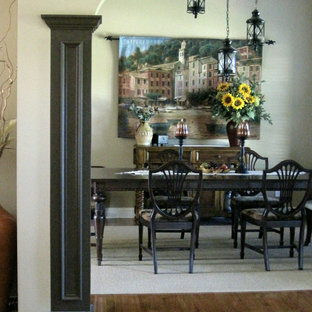 Faux columns crafted out of trim and paint, frame the arched openings in classic rustic Tuscan style. 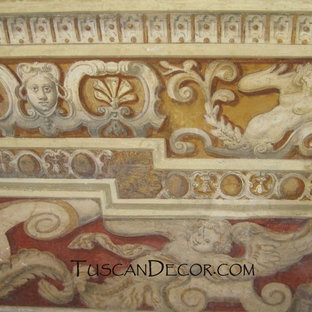 For more information on the Tuscan decorating style, please visit: http://tuscandecor.com. 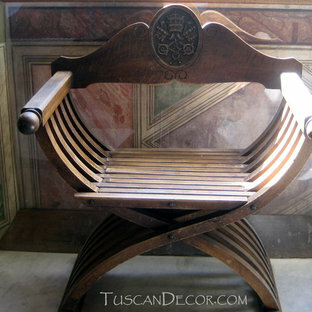 I found this beautiful Italian X-chair tucked away beneath a window in the Vatican Museum in Rome. Also known as a Savonarola or Dante chair, it features legs which cross in the front and back to form an X and a carved coat of arms in the solid back. The seat is made of narrow wooden slats. Used in Italy during medieval times up through the Italian Renaissance, the X style is still popular today in Italian design, often seen in the form of an X bench, X table legs, etc. Note: the walls behind are finely frescoed, and the floors are marble. Tuscany has shown the world how rustic architecture can be warmly appealing. 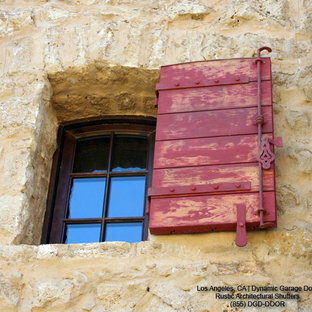 This rustic Tuscan style window shutter was hand distressed and given a washed red paint finish that give it the timeless appearance of authentic shutters found in the Tuscan villas of Italy. Dynamic Garage Door carefully designs shutter styles that are highly acclaimed for their architectural correctness and curb appeal. Los Angeles, CA has some of the most discerning homeowners & architects who require the best architectural resemblance available in the country, if no the world. One of the most iconic features of the Tuscan countryside is the sunflower. Everyone enjoys seeing the rolling Italian hillsides covered in fields of these giant happy flowers. The Italians love to decorate their living spaces, indoors and out, with vivid colors of flowers. 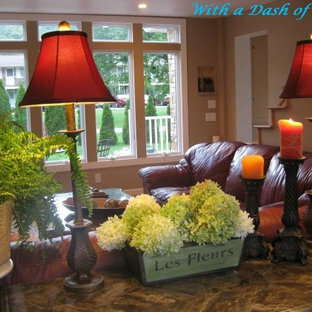 So, to bring the look and feel of Tuscany into your home, don't forget the flowers! 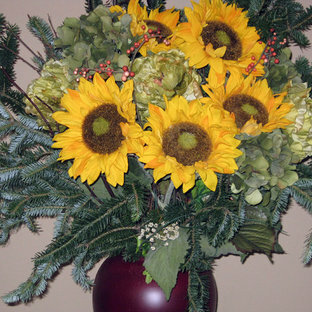 Create a lovely sunflower flower arrangement for your home, and enjoy a spot of Tuscan sunshine indoors year round. For more information on this project, please visit Tuscan Sunflower Project. Photo of a mid-sized traditional partial sun hillside stone landscaping in DC Metro for summer.